The Putco Ford lettering emblems are the perfect upgrade to the factory look of your truck! Fitting seamlessly into the OE lettering channels, you can install the letters in no time! Installation is easy as pre-applied red 3M tape is utilized. 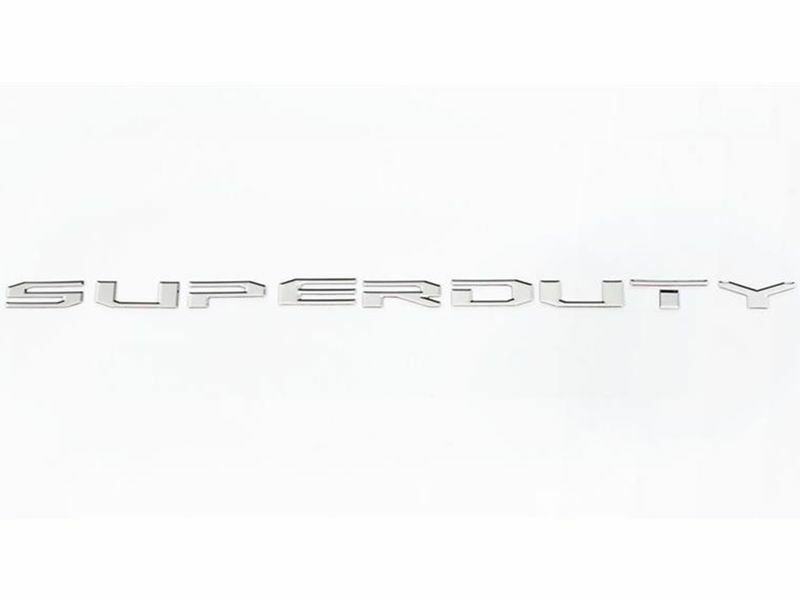 Putco lettering emblems are made from high-quality stainless steel. Choose from a classic polished or innovative black platinum finishes. Whichever way you go, your truck will look amazing. Being an officially Ford licensed product the Putco Ford lettering emblems are backed by a lifetime warranty against defects. What are you waiting for? Amplify the look of your Ford today! Putco backs their Ford emblems with a limited lifetime warranty on the materials and workmanship. Easily install the Putco Ford lettering emblems utilizing pre-applied red 3M tape.